It's been two weeks since we got back from the Bahamas! We had so much fun there and we are still in the mood to party Bahamas style! 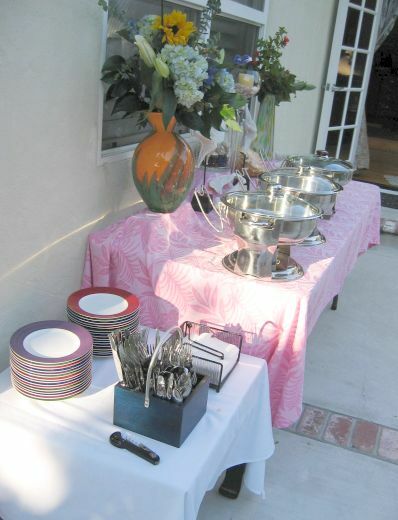 Tonight I am trying to create the same happy and relax atmosphere we had in the Bahamas. 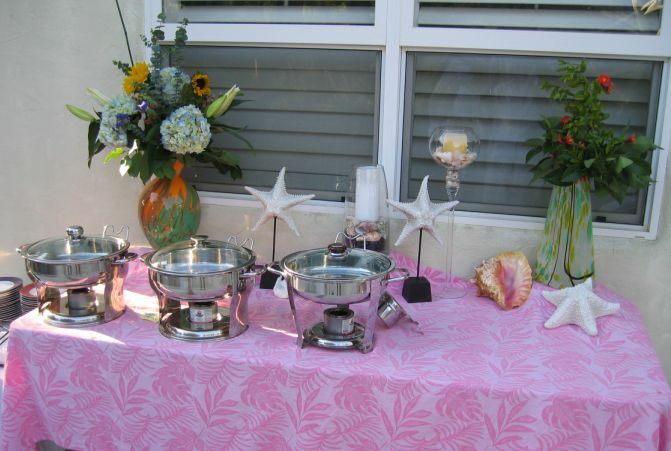 I am setting up the table with exotics flowers and seashells to reflect the Caribbean decor. 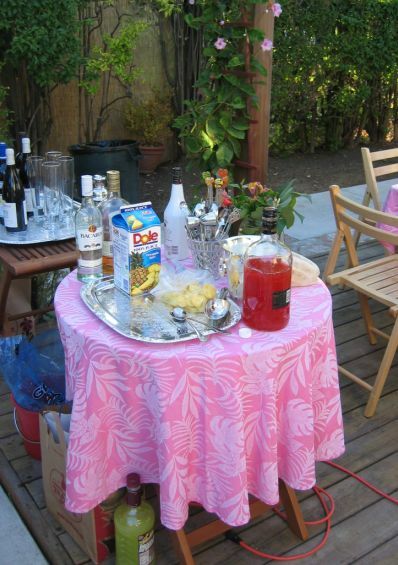 I also choose pink tablecloth to remind us of the pink towers in Atlantis. 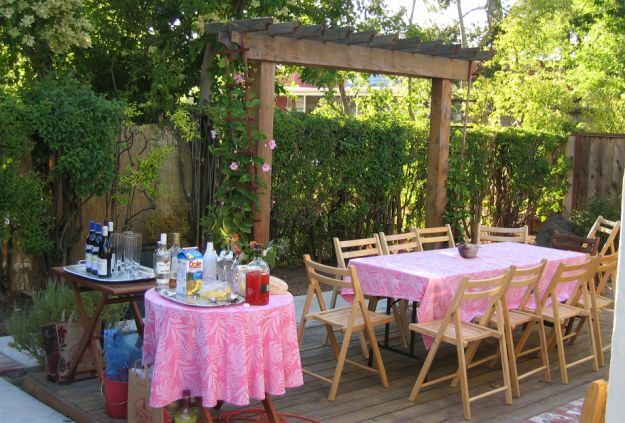 The Drinks area and the table for the kids are set up. Bahama Mama, Gombay smash are on the cocktail list. 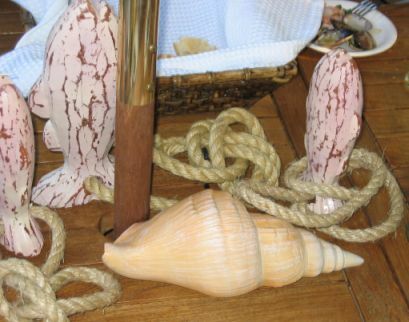 Fish shaped candles and giant seashell served as decoration on the dinning table. 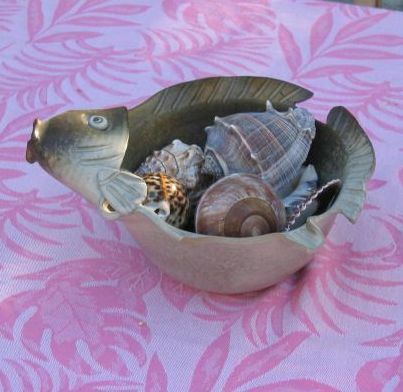 Fish bowl filled with Seashells is the center piece for the kids' table.